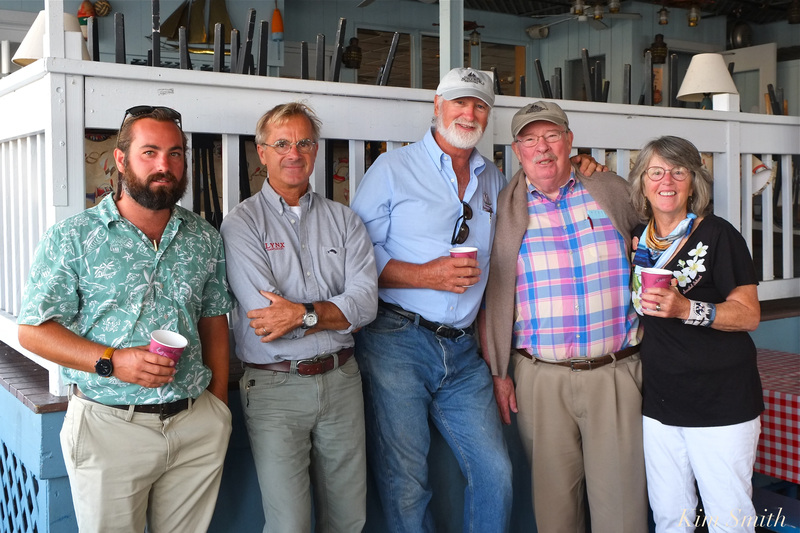 Hosted by the Schooner Festival Committee and Lenny Linquata of the Gloucester House Restaurant, the schooner fest captains and crew members were treated to a delicious and hardy breakfast this morning. 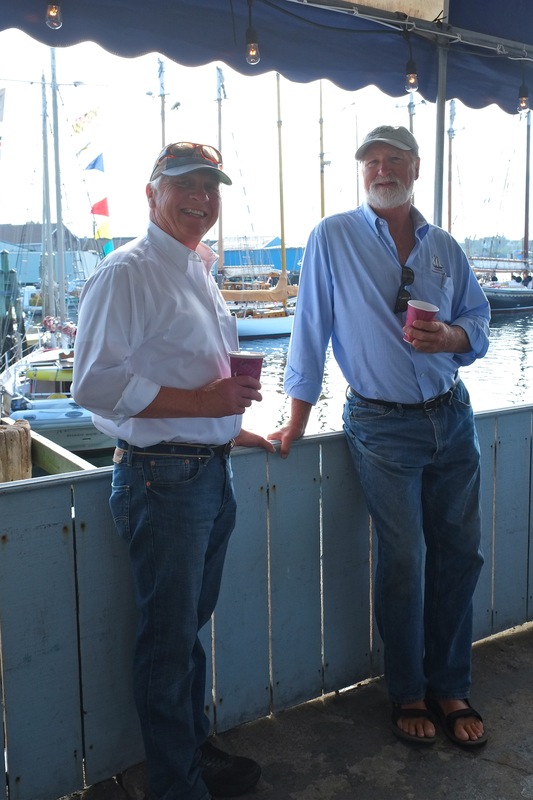 Originally offered for a modest price, a rousing cheer was heard when it was announced breakfast was courtesy of the Schooner Festival Committee! Thanks to the Schooner Festival Committee and to all the volunteers for all they do to bring this glorious event to Gloucester! Schooner Lynx Captains Alex and Donald Peacock, Captain Tom Ellis, Mike Costello, and Schooner Committee Chairperson Daisy Nell. 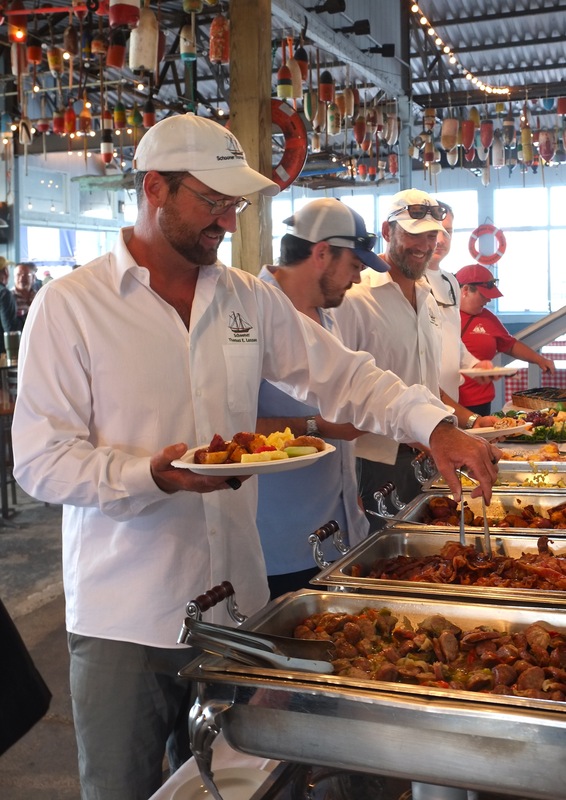 This entry was posted in Gloucester, Schooners, Schooners and Tall Ships and tagged Capt Harold Burnham, Captain Alex Peacock, Captain Donald Peacock, Daisy Nell, Gloucester House Restaurant, Heath Ellis, Lenny Linquata, Schooner Festival Captain Meeting, Tom Ellis on September 3, 2018 by Kim Smith.